In this article we will discuss about the Pushkar City and the adventures motorcycle tour between these two cities.Pushkar is a town in the Ajmer city of Rajasthan. According to government data this town is situated 14 km (8.7 mi) northwest of Ajmer at an average elevation of 510 m (1,670 ft). This town is also known as “Tirth Raj” (the king of pilgrimage sites). 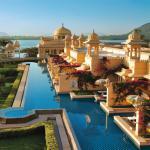 Pushkaris a very popular destination for foreign travellers. You must know that there are very few temples to lord Brahamaexist in the world and one of them is exist in Pushkar. 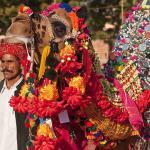 Pushkar is also well known for its annual fair (Camel Fair). 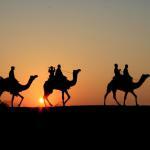 Pushkar fair remains for five days and these five days are a period of relaxation and merry-making for the villagers. According to Hindu religion if pushkar is not visited for worship, then salvation is not achieved. 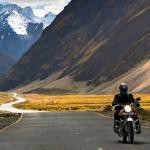 If you love adventures trip on motorcycle then you should read this article, this will help you a lot. 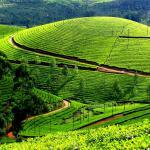 There are various trip operators offer bike tours for the adventures trip lovers. 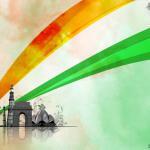 LetourdeIndia is one of them and provides Jaipur to Pushkar and vice versa Bike tour on Royal Enfield Rajasthan. 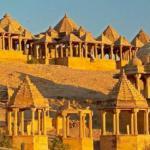 This trip includes visiting the dry SambharLake, crossing villages through the incredible Aravali Mountains. There are various other benefits of this trip such as A Standby Motorcycle in Backup Vehicle, Light refreshment, energy drinks and Mineral water enroute motorcycle trip.You can use your back up vehicle for keeping your luggage & other items.This trip is also includeOvernight accommodation at comfortable Swiss Tents at Pushkar on Twin Sharing basis with Breakfast.All this facility we can get in affordable price by the tour operator and can make our trip more excited and unforgettable.